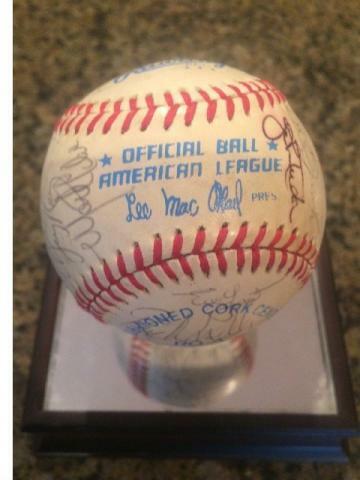 This is an official American League (Lee MacPhail, Pres.) 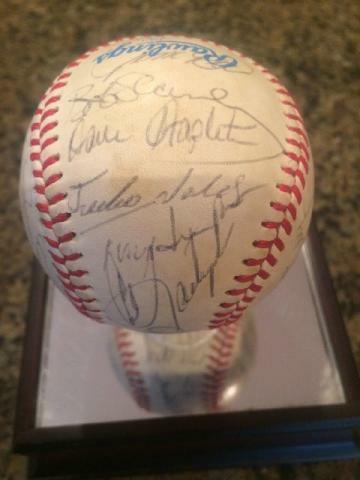 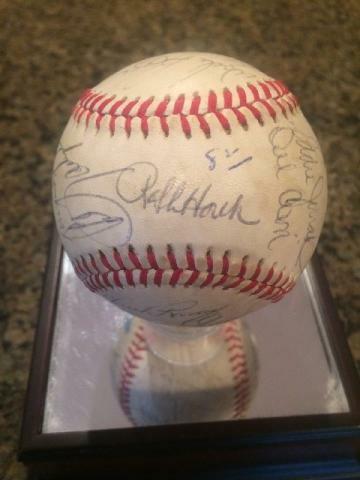 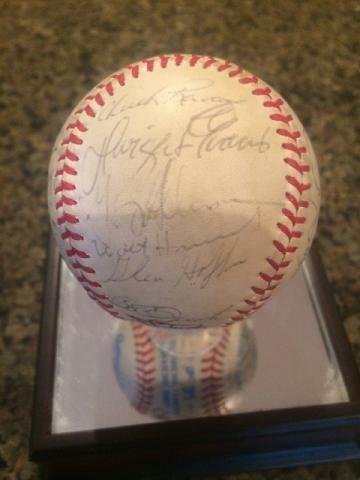 Baseball autographed by the players and coaching staff of the 1982 Boston Red Sox. 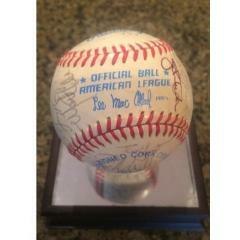 Although this team finished 3 backs of the Brewers, they were well ahead of the rival Yankees. 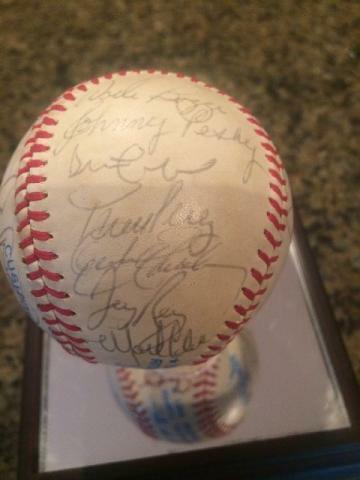 This ball comes with a Full Letter of Authenticity and a worksheet to help you identify the autographs on the ball. 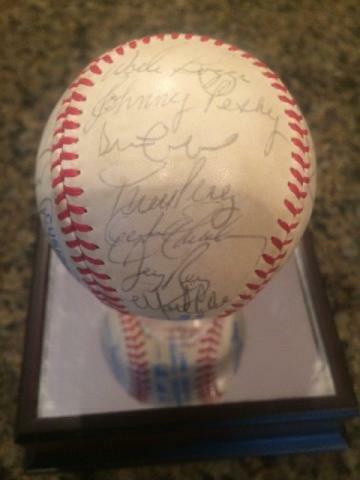 Signatures include those of Hall of Fame members Jerry Rice, Carl Yastrzemski, Wade Boggs, Dennis Eckersley and Tony Perez, as well as notable players Johnny Pesky (coach), Jerry Remy, Oil Can Boyd and Tommy Harper.